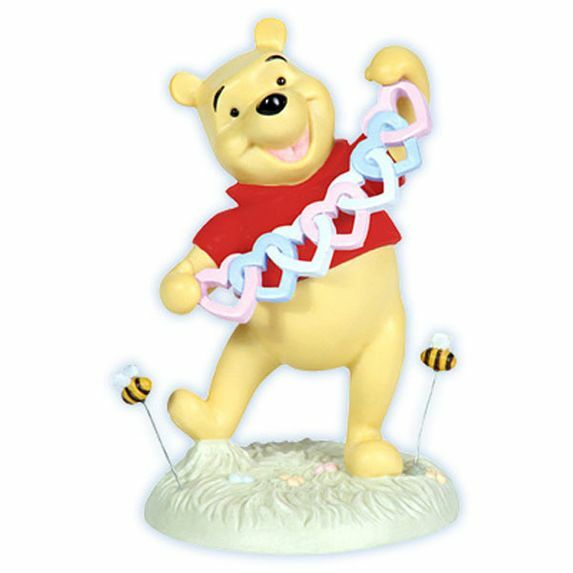 He's the lovable bear from the Hundred Acre Wood that you grew up with, and Winnie the Pooh has lots of love to share. His happy-go-lucky ways endear him to the hearts of millions. Porcelain/Resin figurine. 5" H. Disney Showcase Collection. Item# 113709 - Height: 5"